Considering they both consider themselves better players when they are on the same team, the Calgary Colts junior team should do really well putting Chestermere’s Cekic brothers on the roster this season. 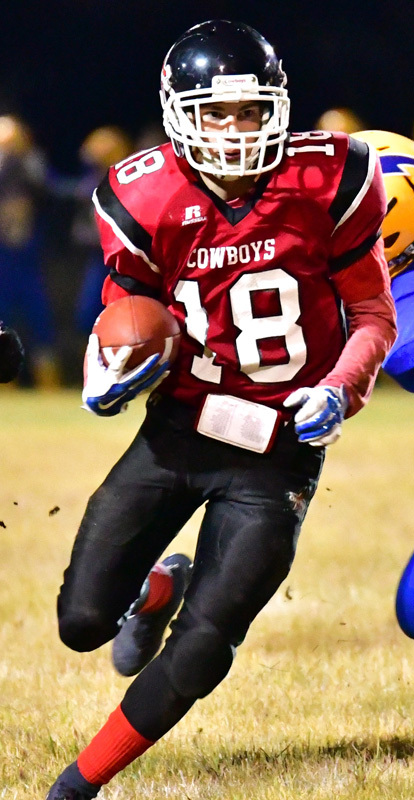 For the past two seasons, Deni Cekic has played with the Prairie Football Conference team, while his younger brother had a starring role with the Chestermere Cowboys high school team. In this spring’s recruitment camp though, Alen Cekic performed well enough to get an invite for a roster spot, and his older brother couldn’t be more ecstatic. The brothers have played together twice before in competitive football, once with the Cowboys and prior to that in community football. After finishing out high school, Alen was weighing his options, and it took some convincing for him to try out for Deni’s team. “I was pretty excited he came out to the camp,” Deni said. “He didn’t want to originally. He wanted to go to B.C. and try out. I just kept telling him to come try out. 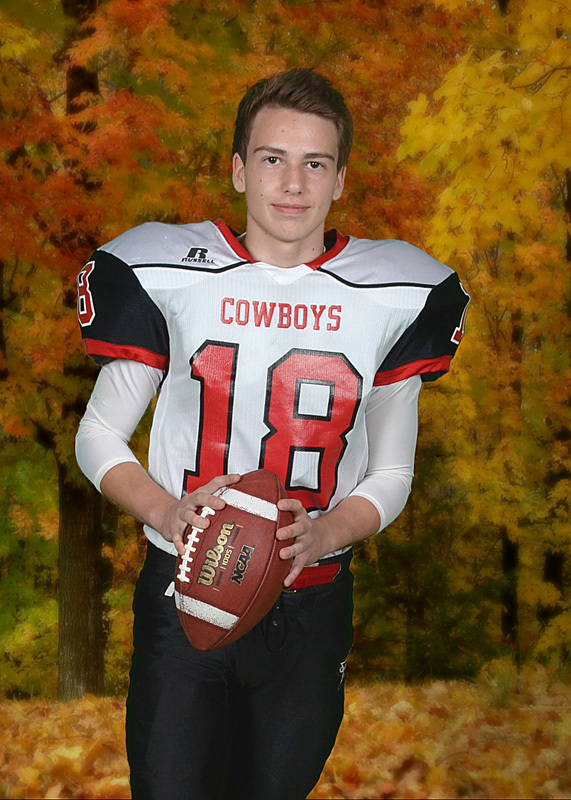 Alen couldn’t have had a better run with the Cowboys. 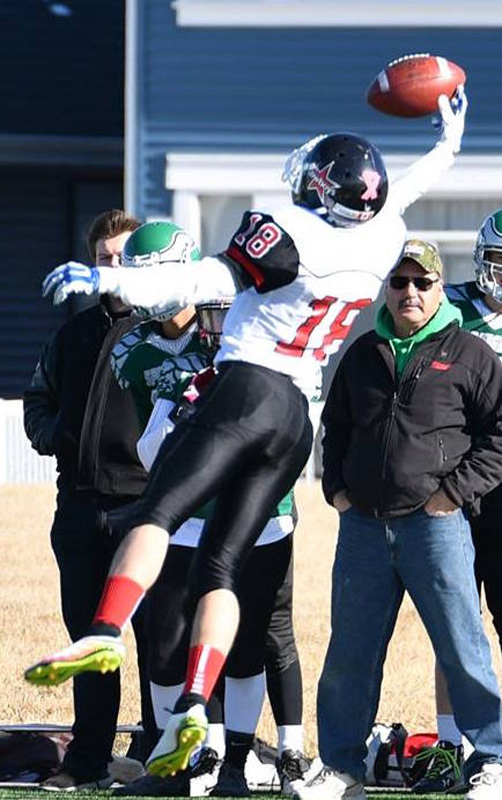 He was the Rocky View rookie of the year as a Grade 10, and then was team MVP the past two seasons, working mostly as a receiver. He went into Colts camp with about 20 other pass-catchers, but he’s beat the odds and been given a spot despite his size. At 5-foot-6 and about 150 lb., Alen uses his speed to his advantage, but he doesn’t let that stop him from playing the danger zone in the slot. At the three-day, six-practice camp, he felt he was able to push hard and considers it a great success. “I was nervous because I knew the older guys would be fighting for their spots,” Alen said. “As a rookie coming in, I know I have to show myself and push myself to the starting positions. While Alen is a smaller receiver, Deni has been playing defensive end with the Colts, earning himself plenty of playing time last season. Seeing as how they are on the others sides of the ball, they don’t face each other that often, but Deni vividly remembers one encounter a few years ago in community football. At the time, Deni was playing linebacker and he took out his brother in practice, completely by accident. Alen suffered a bone bruise on his thigh and was forced to miss a couple of weeks. When it happened, Deni didn’t know he took down his brother because he didn’t recognize him in the heat of a play. “He had these bright green Nike cleats he wore in practices and games,” Deni said. “He wore a different pair because my mom forced him to clean his regular ones. They were so dirty. He wore a basic black pair and I thought he was a different kid on the team. It’s all in the name of football, a game in which both brothers love. Although Deni knows nothing about playing the receiver position, that doesn’t stop him from giving Alen some pointers. Being that they are never on the field at the same time when they suit up together, it’s easy to play armchair quarterback. “I tell him how he can do better, despite me not ever playing wide receiver,” Deni said with a laugh. “I just tell him that he does little things that I find weird so I try to correct them. He likes to stick to his own ways.